Super Bowl Facts That Will Impress Your Friends! Super Stars, Super Line Ups and The American Super Bowl … it’s well … SUPER! Sunday the 3rd February marks that All-American fanfare otherwise known as the US Super Bowl. A colossal annual sporting spectacular beamed live around the world to approximately 114 million in the USA, and 30-50 million internationally. This year the New England Patriots (opening as the underdogs) go head-to-head with the Los Angeles Rams at Mercedes-Benz Stadium in Atlanta Georgia. The history of the American Super Bowl is long and interesting. And let’s face it, we Australians still marvel at the intricacies of the game-play and are equally astonished by the sheer magnitude of pomp and ceremony that it comes wrapped up in. So now that you can astound your mates with the extent and breadth of your knowledge of the game itself – (see here for a refresher), it’s time to dazzle them with your detailed appreciation of interesting facts behind the history of a game that has its entire nation glued to their TV sets for over 2 hours. The very first Super Bowl was held back in 1967. The Green Bay Packers defeated Kansas City 35-10 and was played at the Los Angeles Memorial Coliseum. Each member of the winning team received a bonus of $15,000, the losing team half that at $7,500. Today’s winners will take home over a staggering $112,000 each and the runners up half that at $56,000. Not bad for 60 minutes of elite sporting wonder! Check this out … Super Bowl Sunday is the second-largest day for food consumption in the US after Thanksgiving. Buffalo Chicken Wings, Sliders, Hot Dogs and generally anything fried are all popular fare during the game (either at the stadium or celebrating elsewhere). According to Super Bowl aficionados, over 325 million gallons (1.2 billion litres) of beer are consumed by Americans around the country on Super Bowl Sunday, with Bud being top choice. Now that’s a lot of Budweiser! The cost for securing a TV commercial during Super Bowl is more expensive than any other US television event. That’s because the Super Bowl holds 9 of 10 spots for the most watched TV broadcast within America. When the first Super Bowl was played in 1967 , commercials cost a mere $80,000 for a 60 second slot – today the average commercial cost is USD $2.8 million for 30 seconds of air-time. Big brands often anchor these spots and not surprisingly the likes of Coca Cola, Budweiser, Chrysler and Doritos have featured over the years in top position. However in 2018, the Australia Tourism Board made world history and broke through to a generation of Americans with their 60 second Aussie star-studded Dundee sequel themed Super bowl TVC. In a gutsy move it aired a one-minute mock-movie teaser in the second commercial break before the first half of the game. Rumoured to have cost around USD $5 million for the airing, Tourism Australia believes they got their bang for buck as no other platform comes close to the extremely high viewership and wide demographics of Super Bowl. Super bands, super stars, live medleys, lip-synching and wardrobe malfunctions – the American Super Bowl has seen it all. From the Rolling Stones, Madonna, and Prince to Katy Perry, Beyonce, Lady Gaga and even the now infamous 2004 “boobgate” incident with Janet Jackson and Justin Timberlake which actually coined the phrase “wardrobe malfunction” – the half time break in recent years has certainly been a highlight of the event itself. Historically this segment wasn’t always such a seat-filler though. Cringe-worthy attempts at pageantry (including an Elvis impersonator) eventually gave way to all the pomp and pizazz you see today. But it wasn’t really until the early 90’s that the modern Super Bowl halftime show was born, all thanks to Michael Jackson who headlined Super Bowl XXVII – his showmanship ultimately set the bar (very high) for all halftime acts to follow! This year, the Super Bowl LIII Halftime Show (officially known as the Pepsi Super Bowl LIII Halftime Show) will be headlined by US pop group Maroon 5. The Super Bowl has certainly gained momentum here in Australia over the years and is screened at most sports bars and watering holes around the country. So even if you still can’t come to grips with how it’s played, there is no excuse now to not have a little knowledge of the history of this amazing sporting extravaganza. Enjoy! 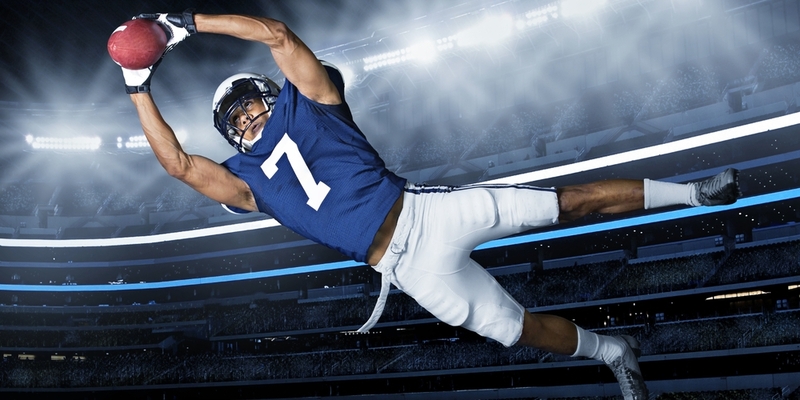 Catch all the action from Super Bowl LIII, LIVE from Mercedes-Benz Stadium in Atlanta, at Dee Why Hotel, on Monday 4 February. Doors open 9am. See here for more details. Join our mailing list or follow us on Facebook and Instagram to keep up to date! 5 Of The Best Summer Ales of the Season! Stay up to date with what’s happening at your local, and go into the monthly draw to WIN a $50 gift voucher!